The Small Business Administration this week implemented changes to its rules governing the 8(a) business development program that are expected to allow more small businesses to qualify, access and compete for coveted federal contracts. Named for a section of the Small Business Act, the 8(a) program was created to help small, disadvantaged businesses compete in this nation’s hyper-competitive economy and gain improved access to the federal government's procurement market. Qualified applicants must be U.S. citizens of good character who own or control a small firm and are socially and financially disadvantaged. To be considered socially disadvantaged, the SBA says applicants must have been subjected to racial or ethnic prejudice or cultural bias due to circumstances beyond their control. In addition to putting such firms in the running for government contracts, the 8(a) program provides business training, counseling, marketing help and executive development. And we’re not talking chump change here. These small businesses received $18.6 billion in 8(a) contract dollars in 2009 alone. Under the program, participants can receive contracts for up to $4 million for goods and services and $6.5 million for manufacturing. They can form joint ventures and teams to bid on contracts and the program’s mentor-protégé program helps companies learn the ropes from other experienced businesses. Primary among the changes for entrepreneurs and small businesses are the rules that for the first time determine economic disadvantage based on personal income and total assets. Personal income cannot exceed $250,000 averaged over three years ($350,000 for continued eligibility), and total assets must not exceed $4 million ($6 million for continued eligibility). Among the other revisions that went into effect this week are requirements for joint ventures that prevent non-disadvantaged firms from unduly benefiting from the program. To accomplish this, the participating firm must perform 40 percent of the work for each contract awarded. And the joint venture cannot be awarded more than three contracts over a two-year period, unless additional joint ventures are formed. The SBA also amended its thinking on withdrawals and what amount it considers excessive, raising the specter of termination as a consequence of such extreme inappropriate withdrawals. In the aggregate, firms with sales up to $1 million can withdraw $250,000; those with sales between $1 million and $2 million may withdraw $300,000; and firms with sales exceeding $2 million can safely remove $400,000. Other rule changes involve firms owned by a tribe, participants who are returned to active duty in the military and a requirement that a firm’s size status remain small. 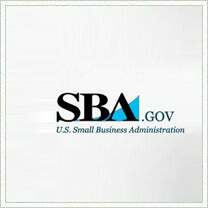 To see all the revisions, click here or drop the SBA an email. What's your take? Will this rehabbed program help your company land government contracts?